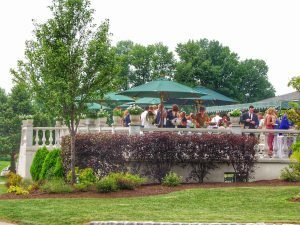 Wedding receptions are a specialty of Westover and we take great pride in producing fond memories to last a lifetime. Each member of the Westover staff truly understands that your wedding is one of the most important events of your life - the proof is in our service. Our wide range of reception packages, beautiful facilities, and experienced coordinators, puts the perfect wedding in your reach. Whether you desire an intimate celebration for close family and friends, or a grand traditional reception, Westover can meet your needs in style. Please contact our Banquet Sales office to discuss your wedding reception needs. Our specialists will be pleased to provide you with current rates, package options, space availability, and general planning assistance. Also, please know that we can customize packages to suite your budget. For information via e-mail please contact Trish Allen or call our office during business hours. Copyright © 2019 Westover Golf And Country Club.